September feeling a long way off? We’ve firmed up the dates of the festival and it will run 9th-16th September. And for the first event, on Friday 9th, we have an absolute doozy. We don’t let the authors read from their books for a start. And the audience can’t ask any questions about writing. I think most people find those elements a blessed relief. We deliberately set out to create a literary event for people who were sick of them. What we have ended up with is a somewhat chaotic, irreverent and unpredictable evening that the majority of attendees seem to really enjoy. But I suppose the main difference is the whole swapping thing. Everyone, including the hosts and authors, brings along a book and Marie and I attempt to help people swap them as the evening unfolds. There is also cake. 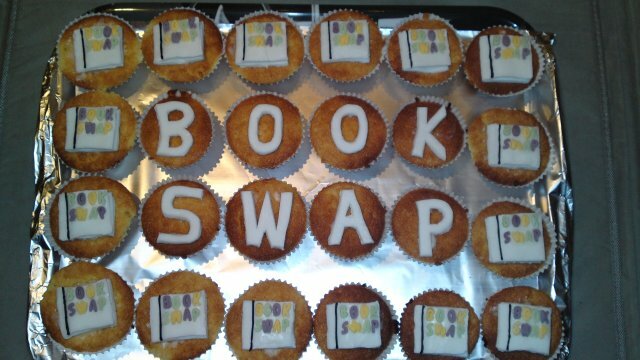 It’s a rule of the Book Swap that anyone who brings homemade cake gets in for free, and it’s a rule Lewisham intends to stand by. Notice that’s homemade cake. A Victoria sponge from Sainsburys will get you nowhere – these people are cake connoisseurs. Sometimes Scott and Marie leave the comforts of Windsor and take the Book Swap on tour. So far they’ve visited the London Review Bookshop, the LSE and Peckham Literary Festivals among others, and we’re chuffed to pieces the Book Swap coming to Lewisham. Authors will be announced shortly. In the meantime you can follow them on Twitter, join the Facebook group, listen to podcasts of previous events or go to another touring Book Swap, at the Stoke Newington Literary Festival on 5th June. * Marie will sadly not be able to come but she’s got a very good excuse – her book, Gods Behaving Badly, is being made into a film with Christopher Walken, Sharon Stone, Edie Falco and Alicia Silverstone, and she’ll be off visiting the set. Robert Hudson is ably stepping into her place. The Book Swap will take place at St Swithun’s church hall – see the events page for links to online booking. A literary festival? For Lewisham? Why? Well, why not? 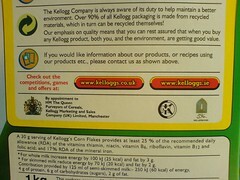 Everybody reads, even if it’s just the side of your morning packet of Crunchy Nut. We want to put together a week that will have something for everyone – and definitely not those stereotypical book events where a boring author drones on for 40 minutes about his influences (some obscure Victorian you’ve never heard of) and the nature of writing. The idea for the Lewisham LitFest is a week of informal and interesting events (with a bar). If you’re bored, we’ve failed. We’re planning a mix of fiction, history, performance poetry, storytelling for grown ups and plenty of stuff for the kids. Keep an eye on this site, follow us on Twitter, join the Facebook page (when we set it up) and we’ll let you know what’s happening.